Japanese people like ranking things. 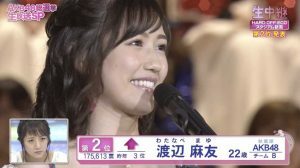 The most recent example: ranking AKB48 members by who drew the most attention – the results of which don’t match up with election rankings. Surprise! This ranking comes via an article which appears on Gunosy Online, which itself appeared to use data from a company called WazaMono Shirabe. What’s the basis of their analysis? Page view accesses of official member profiles on the AKB website. Hmm… I suppose that is one way that you can gauge the “attention” of the general public to a particular member. On thing to note is that they do no disclose numbers, only a relative ranking. Surprised? I was too. 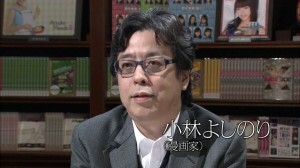 Ma Chia-Ling is the AKB48 member from Taiwan. The Gunosy article suggests that her promotion to a full-fledged member during a handshake event in February is responsible for her first place position. The reasons for Owada Nana’s placement is a little mysterious. She ranked 62 in the last election, but also mentions her “ijirare character” (a character who is always picked on) as being useful in variety show appearances. As always, take this all with a grain of salt. What do you think of this ranking?